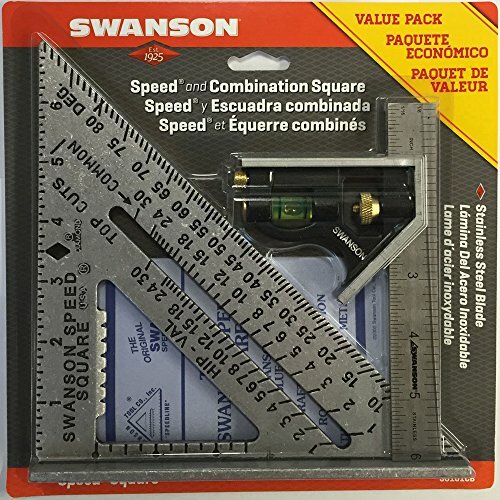 The Swanson Speed Square with Blue Book and Combination Square Kit is an excellent value. 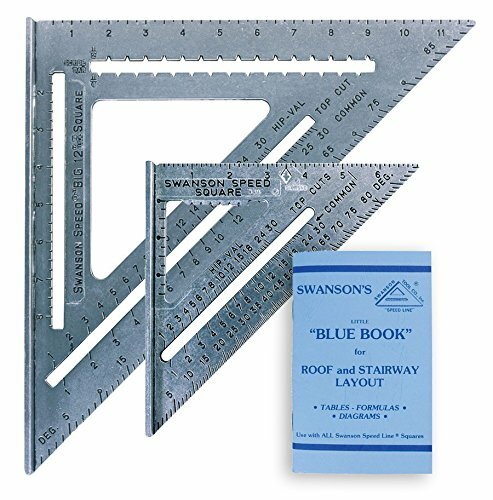 It include one made in the USA 7" Swanson Speed Square, one Swanson Blue Book; a 62-page pocket sized booklet that provides vital instructions, reference diagrams and tables for the construction of roofs and stairs and one 6" professional combination square. This is a great kit for contactors and Dyers alike. 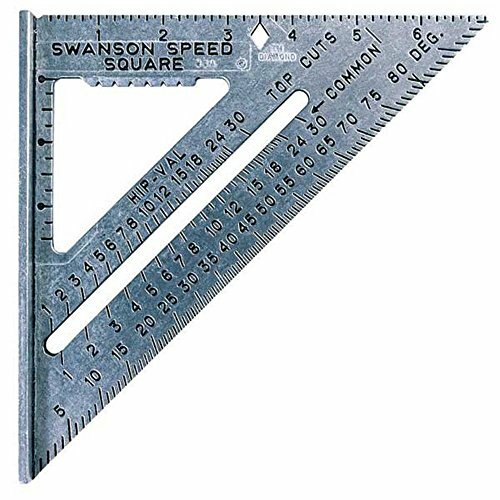 Speed Square can be used as try square, miter square, protractor, saw guide, line scribe and more. 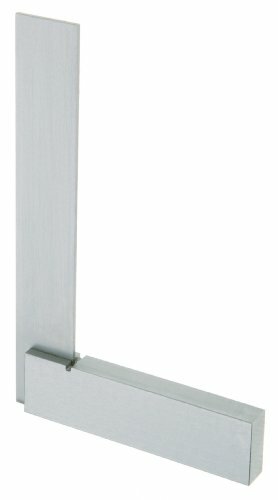 6 Combination Square features precision machined stainless steel straight edge and cast zinc body. 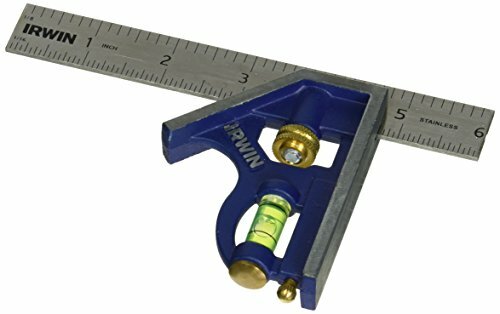 The IRWIN Combination Square is constructed with a durable cast zinc body and a rust-proof stainless steel blade. It's black, precision-etched scales are perfect for marking 90 and 45 marking and transferring measurements. To develop one of the world's best rafter squares, Johnson first had to engineer the EZ-Read finish, its revolutionary anti-glare protective coating that diffracts sunlight rather than reflecting it, so it looks as crisp in full sun as it does in the shade. The EZ-Read finish also increases friction to better secure your square against your lumber when using it as a saw guide. 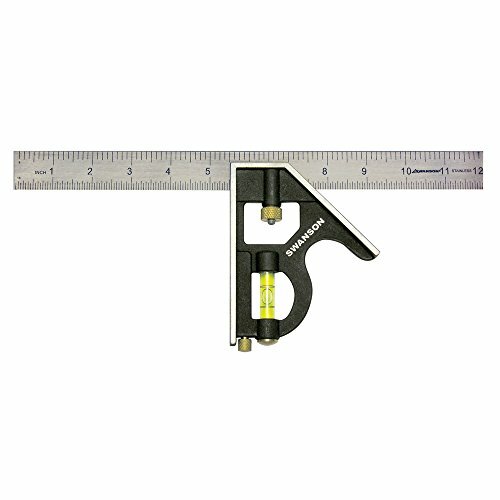 The Johnny Square is highly durable and accurate. Its extruded aluminum body with CNC machined edges and laser etched graduations ensures an easy, accurate reading every time. 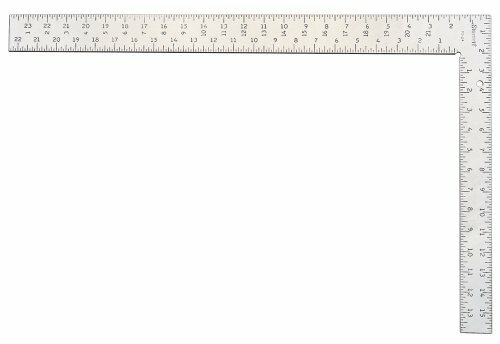 This rafter square also features continuous scribing notches that are ideal for ripping at 3-1/2" and 5-1/2" as well as handy markers that measure 2x4 board dimensions of 1-1/2", 3" and 3-1/2". 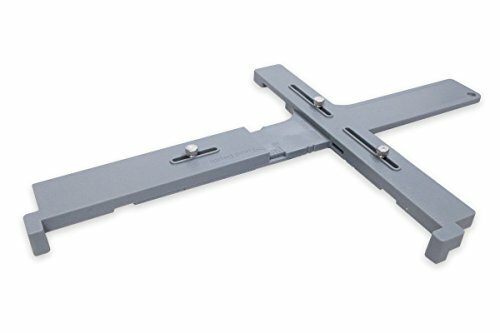 This IRWIN Metal Combination Square features a cast-zinc body and a rust-proof stainless-steel blade to help ensure lasting use. The black, precision-etched scales give you accurate 90 and 45 readings. 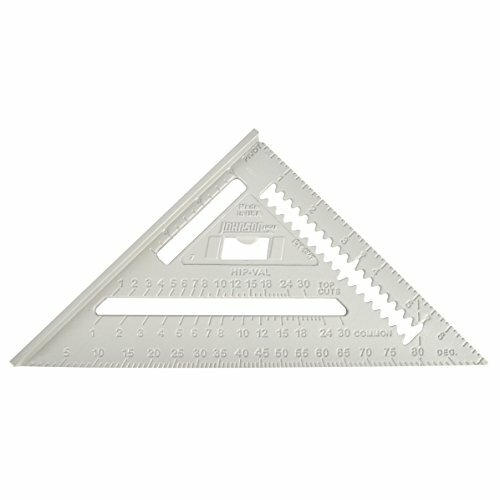 These precision squares are perfect for precision 90 layout and machine set-up. 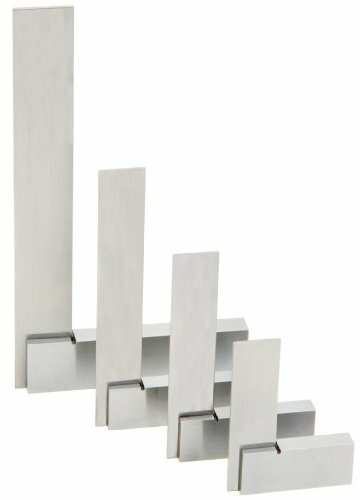 These squares are made from hardened, tempered and polished steel and have an inside notch for accuracy. The blade edges and beam faces are accurate to within 0.0006". 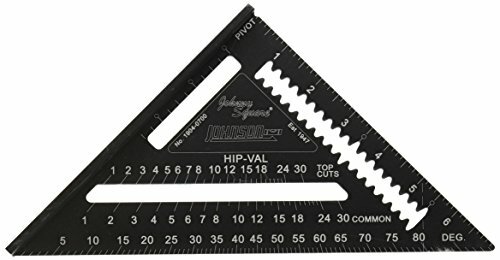 Designed for general carpentry use, the Johnson 7-Inch Aluminum Rafter Angle Square features a solid aluminum cast body with exclusive CNC machined edges. Other highlighted features include permanent molded graduations, and a low-glare, protective powder coat finish. 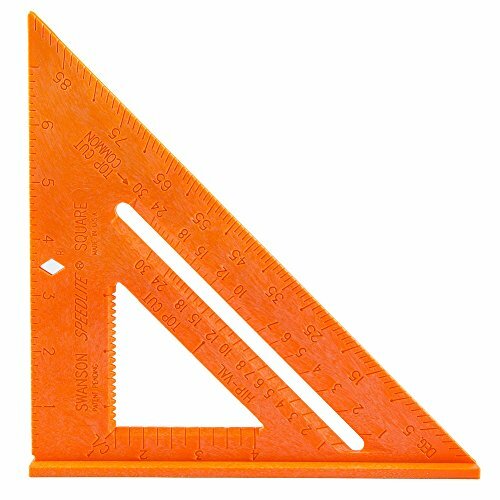 It can also be used as a ruler or can be used to measure angles. The diagonal edge has markings for laying out rafters, roof trim, and stair angles. The square comes backed with a 1-year limited warranty and includes an instruction manual. Warranty: Limited Lifetime Warranty: Johnson level warrants this product against defects in material and workmanship of mechanical parts for life and electronics for one year. The company will replace or repair the product if it fails under normal use. This warranty is limited to the repair or replacement of the product only. The Johnson Level & Tool B75 Structo-Cast 8-Inch Sliding T-Bevel is designed for general carpentry use. The T-bevel has a movable blade that allows you to copy any angle, from 0 to 360 degrees, and transfer it onto other surfaces such as moldings or lumber. This T-Bevel can is designed for durability and easy use, with a high-impact plastic handle and grip, as well as a stainless-steel blade with a wing-nut fastener. The T-bevel is covered by a 1-year limited warranty. 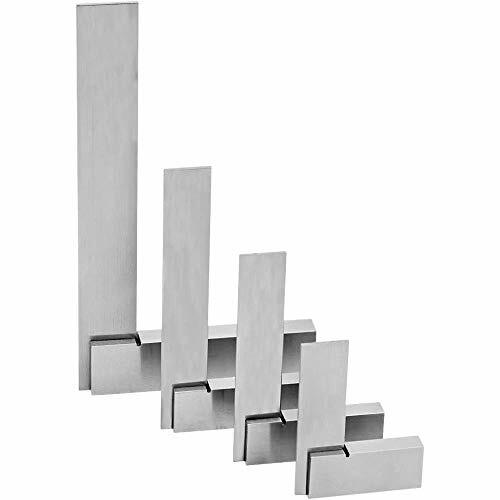 TOFL is offering this set of 4 six inch clamping squares for your workshop. Toss those bulky old steel squares away and make sure to give our lightweight squares a try. You will just love these little babies! Love them or your money back. We are confident that you will love your set of clamping squares but if you are not satisfied, our products are always backed by 100% Money Back No Questions Asked Guaranteed! Click the Add to Cart button above and get yours TODAY! 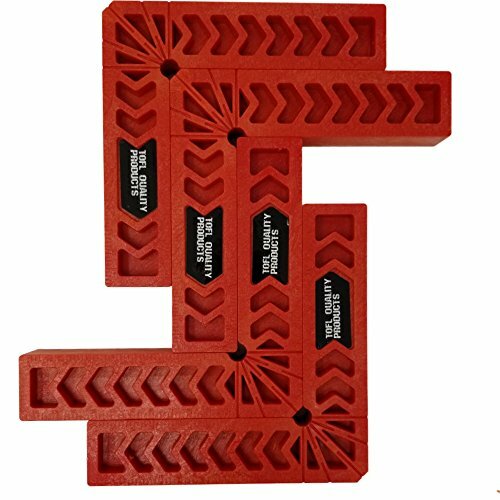 Introducing TOFL Positioning Squares TOFL is offering this set of 4 six inch clamping squares for your workshop. Toss those bulky old steel squares away and make sure to give our lightweight squares a try. 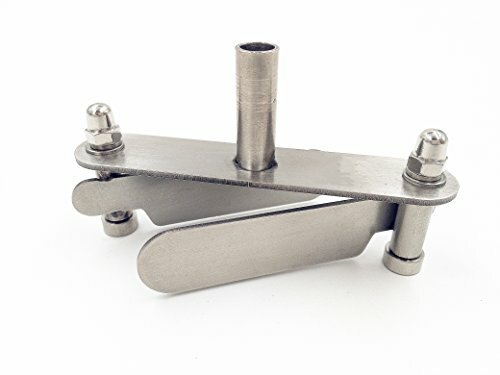 Benefits: They even make your small glue-up jobs much easier TOFL clamping squares are just the ticket Great for complicated jobs also You will just love these little babies! They are solid, well made and tough at a affordable price Makes an ideal any occasion or Christmas gift Love them or your money back. We are confident that you will love your set of clamping squares but if you are not satisfied, our products are always backed by 100% Money Back No Questions Asked Guaranteed! Click the Add to Cart button above and get yours TODAY! EFFECTIVE: The positioning squares even make your small glue-up jobs much easier all the way up to complicated wine rack jobs. You know how it goes with tools you always will wish you had a couple more so stock up and be sure to get a couple of sets so you will always have enough. They work great with quick clamps. You will just love these little babies! 100% MONEY BACK GUARANTEE: If after you use your clamping squares you are not impressed with how they perform and their quality along with absolutely loving them we will refund your money. Our world-class TOFL customer service wants you to be SATISFIED with your purchase. Absolutely no risk. The set of 4 come with our 100% satisfaction guarantee. Get yours and more for family and friends TODAY! The FS-24 professional one-piece tempered steel framing square features permanently stamped 1/8" graduations on both sides. The RS-24 is a standard L-shaped square with a solid, one-piece construction. This is a handy set to have around. each square is finely ground stainless steel. all have common beam and blade widths and thicknesses which will allow them to be used in combination. 2-Inch 3-Inch 4-Inch & 6-Inch squares. Make layout easier scribe perfect 45 and 90 cutlines at the same time! 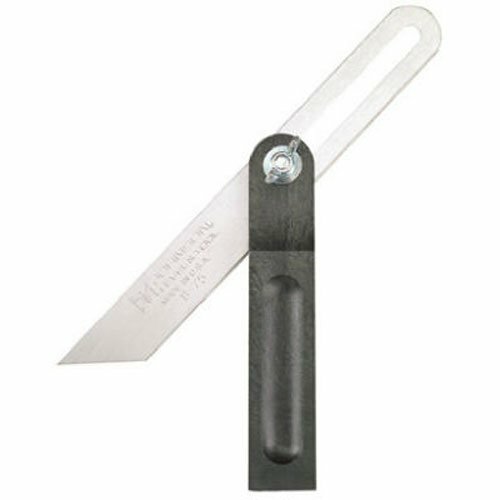 Ideal for picture frames, corner molding, and various box constructions, this precise gauge also works to prep saw blades or drill presses for angled jobs. A balanced, wide-face design adds remarkable stability, while interior windows make marking parallel lines fast and easy. Made from solid, lightweight aluminum. Easy to use online calculator for stair layout. 4 minute online step by step instructional video. Sturdy plastic with brass thumbscrews. 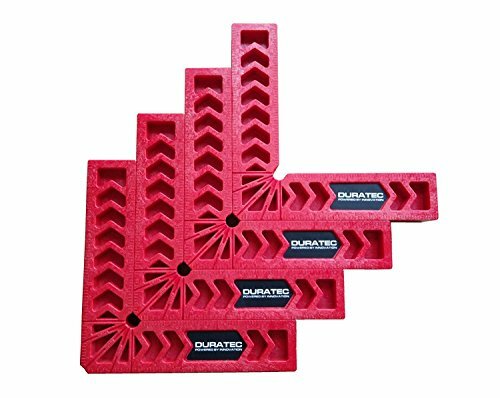 Perfect for determining exact centers on the edges of boards when making biscuit slot cuts, drilling dowel joints, for assembly work and more. Mark centers on boards up to 2.4-Inch in thickness or width. Just insert the pencil into center of jig and make your mark. * Please have professionals to install the items to avoid trouble which very often caused by inexperienced installer. * Your satisfaction is our utmost concern. Please contact us to resolve any issue before leaving any neutral or negative feedback.